It just felt like it was time to make a new deadhead… and it was just completed before a cold and wet storm swept through here. 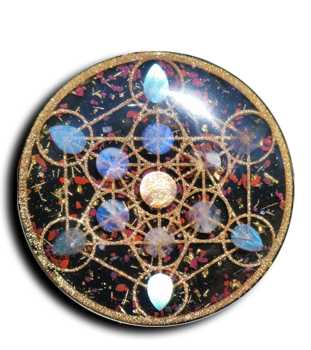 This is a “Steel” your Face, made with steel turnings, gold leaf, Sodalite, Jasper and Quartz. 26 inches in diameter, cable on the back so it hangs easily on the wall. 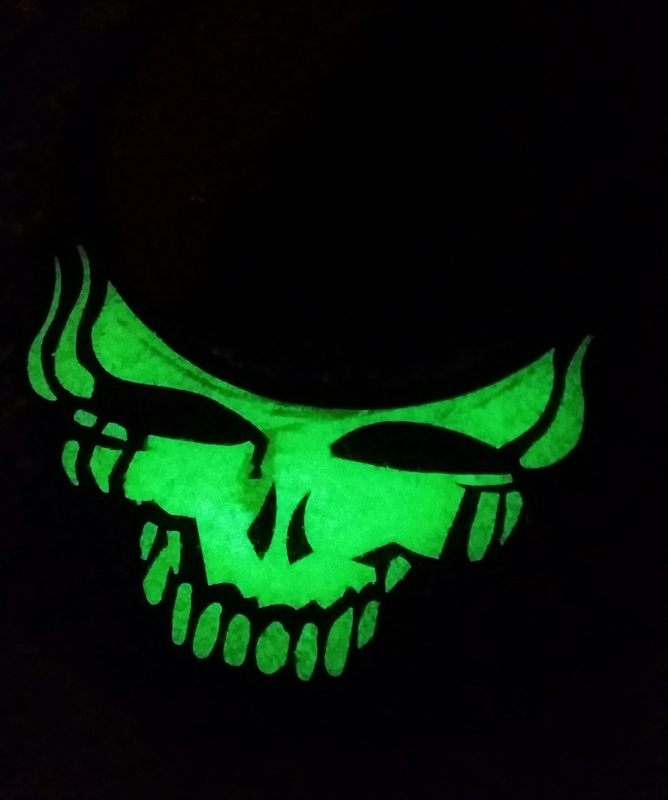 Quite a sinister glow in the dark face to enjoy at night on this one. This piece will be on display at the Emerald Cup on December 12th and 13th in Santa Rosa. Also available for purchase, contact me for details.